He would become a Formula 1 'visionary', the most coveted racing car designer of his generation — much like Adrian Newey today. In the 1980s John Barnard's MP4 series of carbon-fibre McLarens broke new ground in composite chassis design and set a new benchmark in preparation and performance. Today, Red Bull's design genius leans on Christian Horner for support and triple World Champion Sebastian Vettel is his muse. Back then, John Barnard had Ron Dennis and the mercurial Alain Prost. But like Newey, the young Barnard built his reputation far away from the Grand Prix circuits, instead making his name on the ovals of American Indycar racing. This is where the foundations of those three consecutive F1 drivers' championships (one for Niki Lauda, two for Prost) and two constructors' titles were laid. Barnard was a junior engineer at McLaren in 1975, drawing suspension and wing updates for the M16C Indycar. He'd started his career a few years earlier at Lola Cars, before moving to McLaren where he worked beside F1 and Indycar designer Gordon Coppuck. One day Barnard got a phone call from former Lola man Jim Chapman, who was then team manager for the Vel's Parnelli Jones F1, F5000 and Indycar teams. After a few years producing mildly successful Indy and F1 cars for VPJ, ex-Lotus designer Maurice Philippe was leaving and Chapman proposed to Vel Miletich and Parnelli Jones that Barnard should replace him. "The VPJ thing was my big chance," Barnard says. "I came to join Parnelli because I knew Jim Chapman and Hughie Absalom, who had been at McLaren and was now here as chief mechanic. When Jim phoned and asked if I wanted a go at chief designer, I said, 'Yes please. When's the next plane?" Barnard's primary job at VPJ was to design and develop the groundbreaking Parnelli VPJ6B and 6C that introduced the turbo Cosworth DFX to Indycar racing. 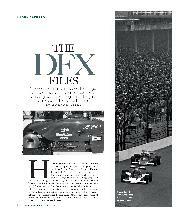 Over the next dozen years the DFX dominated, winning 151 races, including 10 consecutive Indy 500s between 1978-87. After three years in California with VPJ, Barnard moved on to design Jim Hall's equally revolutionary Chaparral 2K Indycar before rejoining McLaren in 1981, now under Ron Dennis's leadership, where he designed the first carbonfibre McLaren MP4/1 F1 car. When Barnard arrived at VPJ in Southern California in 1975 he was thrown in at the deep end, fettling the team's F1 car and designing the drivetrain for Parnelli's off-road Ford truck. 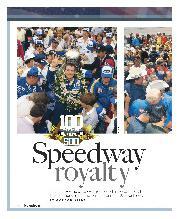 "Immediately as I finished this work on the Fl car Parnelli came along and asked if I could finish his Bronco. There was a tube frame and that's about all. I had to draw a 4WD axle assembly and all the suspension. Eventually I started on the Indycar programme. At that time I didn't even have a helper. After six months or so Gordon Kimball was hired, but there were only ever two of us in the drawing office." Through the early and mid-1970s Indycars were allowed to run unlimited boost, and the ageing four-cylinder Offenhauser found itself pushed beyond its limits. 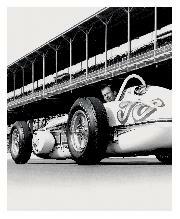 "I was on USAC's rules committee and we kept blowing up engines," says Parnelli Jones. "You could not buy an engine from Drake Engineering [manufacturers of the Off)/ and run 500 miles. You couldn't even run it 100 miles because of porosity in the engines. We had a machine to impregnate the engines so we could keep ours together, but you had to pull it all apart and blueprint it after you bought it. "We sent two engines back and wanted to order a couple more, but Drake said he wasn't building any more until he sold those other two. At that point I felt this was a losing deal for us. "The more engines Drake broke, the more money he made. I said that to the USAC rules committee and he threatened to sue me. Then USAC cut the fuel mileage back to 1.8 mpg and I said to Vel, 'We've got those little Formula 1 Cosworths. I think they could work'." Andretti and Al Unser, than it did into the USAC championship, where Unser ran six races and Andretti just four. 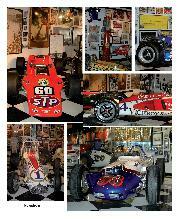 But the team was busy working on converting the Fl car into an Indycar and turbocharging Cosworth's DFV. 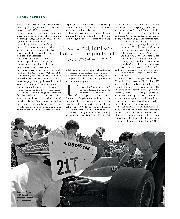 "We had Larry Slutter and Chickie Hirashima working on it and we got it working good," Parnelli says. "We had to make a lot of our own parts for the engine. We had Barnard redesign the F1 car for it." Barnard adds: "It was actually a completely new chassis. We put coil springs on the rear, but I kept the torsion bars on the front." He strengthened the car by double-skinning the monocoque and designing a much stouter front bulkhead. "That proved very useful," Barnard says. 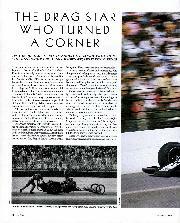 "In '77 we were practising at Indy and Al ran over Janet Guthrie's turbine wheel, which came out on the track, and had quite a big accident. But he walked away. I was glad I had double-skinned that front bulkhead." The resulting VPJ6B was a much smaller overall package than the existing Offy- and Foyt/Ford-powered chassis. "The car had basically the same outside configuration as the F1," Jones says. "It made a great combination. It was cool, a great car, the fastest flat-bottom car around until ground effects came in." Says Barnard: "It was very different. We had the Eagle-Offies sitting in the workshop and it was like looking at a truck against a Formula Ford. The McLaren M16s were also big buggers compared to the Parnelli. It was a real step." Barnard found himself equally involved in VPJ's DFX development programme. "There was a lot to do on the engine — inlet manifolds and all sorts of things. I was drawing con rods and pistons, an oil pump system, fuel injection and God knows what else. It was fantastic for me because I had never really got into engines much, but we had our engine shop so we could do this stuff to every part of the car and engine. It was fantastic, just like having a toy shop." However, there was little support from Keith Duckworth for turbocharging the DFV. "I remember Vel reporting that Cosworth told him he was a bit of a twit trying to get all this horsepower out of an engine that was designed to generate 500bhp, and there we were getting more than 800," Barnard says. "Vel told me, 'Those bloody guys at Cosworth don't mind selling me pistons and heads all the time. I've spent $100,000 with them just on pistons.' But they told him we were idiots for making a turbocharged version of their engine." Duckworth famously didn't believe in turbos. "I remember him giving me a lecture about turbos," Barnard adds, "and another one about why 4WD wouldn't work." Unser and Andretti ran a few practice laps at Indianapolis that year in an early version of the VPJ6, and the first complete 6B made its debut in Unser's hands in 1975's season-closing race at Phoenix, finishing fifth. "Once we got in the right ballpark with wheel and spring rates we had pretty good balance, and it got better and better," Barnard remembers. "We continued to muck about with the engine. It was an ongoing programme. I was making wastegates and all sorts of things." Unser scored the Parnelli-Cosworth's first win in the Pocono 500 in June 1976, then won again at Milwaukee in August and Phoenix at the end of the season. 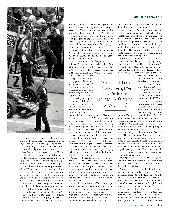 "We proved that the engine worked and we brought Duckworth over to Pocono because we wanted to get a distributorship for the Cosworth Indy programme," Parnelli recalls. "So Duckworth came over and damned if he didn't turn around and steal Larry Slutter and Chickie from us." Barnard took a dim view of Duckworth's manoeuvre. "As soon as we won Pocono, Cosworth saw the light," Barnard comments. "It wasn't long afterwards that they nicked Larry Slutter and set their own engine shop up right there in Torrance, which to be honest I thought was pretty mean. "I was told by somebody at Cosworth many years later that the turbo Indy engine programme — the DFX as they called it — was their most profitable programme of all. So I wasn't impressed with the way they did that. Vel and Parnelli were the ones putting their hands in their pockets to develop this car and engine, and I don't think they ever got the proper credit." After all the money and effort VPJ had put into developing the engine, not being able to turn it into a commercial enterprise was a big blow, playing a role in the team's demise a few years later. "Of course," Jones says, "we were in a catch-22 because you had to satisfy your sponsors and we needed to order parts from Duckworth. We could have sued him, but we decided to try to work with him." In developing the Parnelli-Cosworth Barnard started experimenting with plastic skirts fitted beneath the car. Without really knowing it he was dabbling in ground effects. "They were obviously very powerful. The effect the drivers could feel was instant. The thing I hadn't got my head around at the time was how to keep them alive. The skirts weren't doing what they could have been doing. But that was the beginning of the learning curve." For the '77 season both McLaren and Penske built new Fl-based cars with DFX engines and Tom Sneva won the USAC Championship aboard Penske's Cosworth-powered McLaren M24 and Penske PC5. Johnny Rutherford also won four USAC races in the works McLarenDFX while Unser and new team-mate Danny Ongais each won a single race, with Big Al taking the California 500. Ongais's car was sponsored by Ted Field under his Interscope banner, and in 1977 and 1978, after Firestone announced they were pulling out of racing, Field and Interscope became VPJ's primary sponsor. The tyre company had been Parnelli's major sponsor since his driving days and its withdrawal resulted in Unser leaving VPJ at the end of 1977. During that season Unser went through a lot of heartache, believing Ongais was enjoying better engines. "Al used to get really wound up," Barnard says. "He was convinced Danny was getting a more powerful engine because he was a bit faster on the straights. I could never convince Al that it was because Danny would run oversteer on big ovals like Indy, which the experienced guys like Al would never do because they knew that at some stage it was going to bite them bad. "We could never convince Al that Danny's engines weren't any more powerful, that it was due to car set-up more than anything. And in the end it did bite Danny. "I used to get on pretty well with both Al and Mario," Barnard adds. "I even got Mario machining some bits on the lathe. I got on with Al the best. He was great to work with and I followed him to Chaparral. I never got quite the same closeness with Danny, although he was obviously quick and extremely brave." A revised car, the VPJ6C with improved aerodynamics and transverse gearbox, was introduced in 1977. "For the 6C I did new bodywork which was much more aerodynamic, much prettier, and we did a transverse gearbox for it. It used Weismann gears and I did the casing. A little pattern-making guy around the corner crafted it in his garage. "Aerodynamics became one of the main areas we worked on, trying different rear and front wings. Although I didn't actually measure it, I think the bodywork on the 6C was a reasonably good step in terms of drag. It had a full aerodynamic-profile cockpit and the rear end was properly finished, whereas on the 6B it was still a leftover from the F1 arrangement." Barnard intended to place the turbocharger behind the gearbox, improving aero, but this required long exhaust pipes that reduced power and throttle response, so he had to relocate the turbo on top of the transaxle. "When I did the Chaparral, my next car," he says, "I made a new bell-housing to integrate the turbo behind the engine properly and get it down lower with shorter exhaust pipes. That became the way to mount the turbo for many years thereafter." This was in the days before wind tunnels were designed with a moving plane specifically for ground-effect racing cars. Barnard did his wind tunnel work in the giant Lockheed aircraft tunnel in Atlanta. "We went there two or three times with a variety of bits and pieces to try. I wouldn't say I came away from there with an enormous amount of answers that allowed me to go forward. It was more a case of collecting information. I was looking at radiator flows and all sorts of things like that. "I had been using tunnels before at McLaren and even back to Lola days, but what we did then was too basic to be of great value. Being able to put a full-size car in the Lockheed tunnel was certainly a great improvement in terms of information. But we didn't have rotating wheels or anything like that. It was all approximate without a moving ground plane." Unser left VPJ to join Jim Hall's new Indy team in 1978 and won all three USAC 500-mile races that year, in Hall's LolaCosworth. Ongais continued in a lone Interscope Parnelli, won a season-high five races and took eight poles, but that was the end of the road for VPJ. 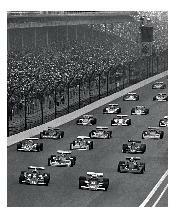 The F1 team closed early in 1976 and the Indycar team now followed. 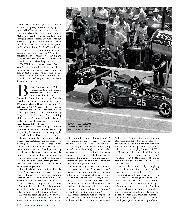 "When Firestone got out of racing it certainly left us hurting financially," Parnelli says. "We had to let Barnard go, and of course Al too, because we had no heavy-duty sponsor. We had a good operation. I think if Firestone hadn't decided to get out of racing we would have continued. We had Ted Field coughing up some money for Danny Ongais, and that was about it. 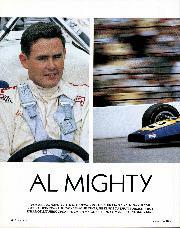 We took the car out to Ontario after Al had left and Foyt jumped in and set a quick time. He fell in love with it, so we furnished him with a couple of cars." Foyt drove his own 6C in 1979, winning four USAC races with it, and continued to race the car into 1981, scoring the last of his 67 wins in this chassis. Ongais also continued to race his Interscope Parnellis in 1979 and '80 as the car continued to be competitive against the early ground-effect Indycars from Penske and Chaparral. Meanwhile Barnard designed the Chaparral 2K, which Unser raced for Jim Hall in 1979 and Johnny Rutherford drove in 1980, winning the Indy 500 and CART championship. "The Chaparral thing followed everything we did at Parnellis," Barnard says. "Hughie [Absalom] and Al went to Chaparral. By that time I had got to know Al quite well and really it was those two who dragged me along to speak to Jim Hall and get me into Chaparral. "I didn't start the Cosworth programme," he adds, "but I had most of the input making a car work around that engine. Looking back, I learned massive amounts and enjoyed it, too. It was bloody hard work, but I was a young man and ready to do whatever it took."